Seeking a challenging and progressive career in Socio-Economic Development, NGO, Social Media, Digital Marketing, Mass Communication, Business & IT-related sector. I always love to keep in up-to-date with new technology and innovative creations. SAP pp module related all task. Update data in SAP, Reporting to seniors. Communicate to others module concern person. PO processing report, RM requisition slip. Sales Order cost report, Cnacel Goods Issue. SAP ERP, SAP ECC 6.0 basic operation. Entry of confirmation, Confirmation upload. Market Research, Analysis, Man power utilization. Maintain consistency in design and layout. Arranging meetings, Revenue Targets and KPI’s. Basic Computer Operation & Management. Basic Hardware & Software Instruction. Customize wordpress themes and plugins. MS Office (MS Word, MS Excel, MS PowerPoint). I have been doing freelancing in Upwork and Fiverr since September, 2015. 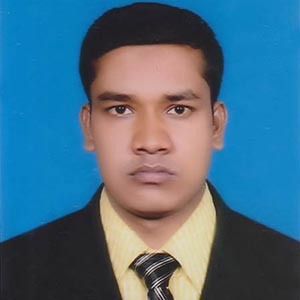 I started my freelancing career with Data Entry and Web Research jobs. But as time goes on I developed my skills. Now I am working as a front-end developer. Date of Birth : 01 January 1988.
created with ImAmUdDiN Ⓒ All right reserved NextGen-IT .